It’s true: not all pupils are equal. Some seem to develop new skills and pass through the curriculum quickly and easily, others struggle and hit roadblocks regularly. Whilst a degree of ‘natural talent’ has a part to play, there are other significant factors. So what do good piano pupils look like? Part of being an effective learner is how you listen and respond to your teacher during the lesson. Some pupils appear to be listening but as they play, it becomes clear they have been focused more on their own thoughts and ideas and haven’t really taken on board what I have said to them. It always seems odd to me that someone would pay to receive advice and instruction and not pay attention to it! This is particularly true of some adult learners. But it’s not just listening that counts: pupils who engage in the conversation and express their own thoughts and ideas invariably end up with a better learning experience. Listen to your piano teacher and show them you are listening by responding appropriately. Pupils who ask questions demonstrate that they are more engaged in the learning process. By clarifying and qualifying what I say to them, they apply themselves more efficiently to their progress. Good questions lead to good answers, and more importantly, to more good questions! By being inquisitive, pupils increase the level of personalised learning and as a result their retention and application through the week is far better. Think about what you are learning and ask questions to make sure you fully understand. There is only so much excitement and motivation I can bring to a lesson! If a pupil is not at least moderately keen to learn, no amount of my skill or experience will help. It is also important that this enthusiasm is carried forward into the daily piano practice. Those who take pleasure in the small steps of their progress and who look ahead in their books with enthusiasm are the ones who make good progress. They also enjoy the journey far more, too. Be enthusiastic and excited about what you are learning and how much you are improving. As with anything, not all piano learning is easy or interesting. Scales and exercises can be tedious, although there are ways to help. Playing the same piece all week or all month, particularly when there’s a ‘tough bit’ you can’t seem to master, can be disheartening. But those who are willing to persevere usually discover that the work I have set them is possible and just needs pushing through. When the going gets tough, the tough get going! Find ways to enjoy the less interesting parts and dig deep when it gets harder. You knew I would say this, didn’t you? But it’s true: those pupils who practise daily move forwards much more quickly than those who do maybe three or four sessions a week. Daily practice builds learning more consistently and efficiently. It creates momentum through the week. Taking ‘days off’ has significant costs in progress. It’s not about doing a long practice every day – it’s more to do with using time wisely. And 10 minutes a day for seven days will give you more progress than one 90 minute ‘panic’ session before your lesson. Every time. Find a daily time for your piano practice and stick to it. 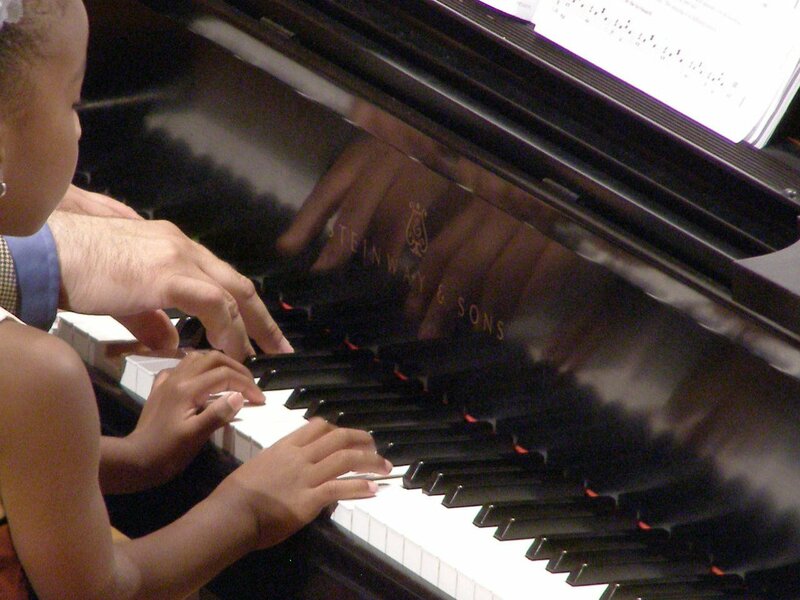 Are you a piano teacher with ‘good’ and ‘bad’ learners? What makes them different? Or maybe you’re learning to play: how could you improve your chances? Leave a comment below and tell me your ideas and experiences.